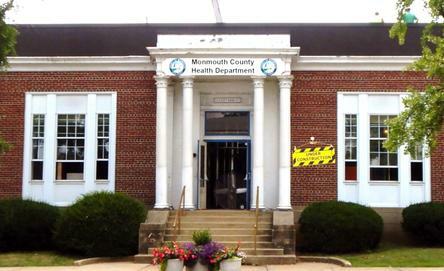 Monmouth County Health Department (MCHD) provides free mantoux testing for school-age children. In certain instances, mantoux testing is required for school admission. The Mantoux tuberculin skin test (TST) is the standard method of determining whether a person has been exposed to mycobacterium tuberculosis. Latent TB is when TB symptoms are not displayed. The tuberculin skin test, know as the mantoux tuberculin test, can tell if you have this form of the infection. During the test, your doctor uses a small needle to inject harmless fluid called tuberculin under the skin into your arm. In two to three days, the doctor will recheck. Nursing case management is provided for TB cases, contacts, suspicions and latent TB clients. For more information, call Monmouth County Tuberculosis (MCT) at 732-308-3750. The MCHD, in conjunction with our municipal partners, offers a number of free cat and dog rabies vaccination clinics in the fall. In order to obtain a 2019 municipal cat or dog license, the rabies vaccination must be valid for at least ten months of the licensing year. As long as the animal is over a year old and has been vaccinated before, rabies vaccinations are generally valid for a period of three years. Proof of prior vaccination is not required but will insure that the vaccination is valid for the three year period. View upcoming clinics here or visit the Calendar of Events page. Thousands of children living in the United States have elevated blood lead levels that may significantly damage their health. They can develop behavior and learning problems, such as hyperactivity, slowed growth, hearing issues and aggressive patterns of behavior. Stopping a child’s exposure from leaded paint, house dust or any other source is the best way to prevent the harmful effects of lead. To raise awareness of the consequences of lead poisoning among parents and pregnant women who live in homes built before 1978, the MCHD is participating in National Lead Poisoning Prevention Week (NLPPW) October 22 -28. The MCHD joins the Centers for Disease Control and Prevention, the U.S. Environmental Protection Agency, and the U.S. Department of Housing and Urban Development to encourage parents to learn more about how to prevent lead poisoning. This year's theme, "Lead-Free Kids for a Healthy Future," underscores the importance of testing your home, testing your child, learning about drinking water and learning how to prevent serious health effects caused by lead poisoning. For more information about NLPPW activities, contact the MCHD at 732-431-7456. Diabetes is the leading cause of blindness in working-age Americans. According to the American Academy of Ophthalmology, approximately 29 million Americans age 20 or older have diabetes. Almost one-third do not know they have the disease and are at risk for vision loss and other health problems. Early symptoms of diabetes are often unnoticed. Vision may not be affected until the disease is severe and less easily treated. Diabetic eye diseases include diabetic retinopathy, cataracts and glaucoma. The most common of these is diabetic retinopathy, affecting 5.3 million Americans. Diabetic retinopathy is a potentially blinding condition in which the blood vessels inside the retina become damaged from the high blood sugar levels associated with diabetes. This leads to fluids leaking into the retina and obstructing blood flow. Both may cause severe vision loss. Diabetes can also affect vision by causing cataracts and glaucoma. If you have diabetes, you may get cataracts at a younger age and your chances of developing glaucoma are doubled. The early diagnosing of diabetes and maintaining strict control of blood sugar and hypertension through diet, exercise, and medication, can reduce your risk of developing eye disease associated with diabetes. Call your eye doctor or schedule a complete dilated eye examination with the MCHD at (732) 431-7456, ext. 5. Eye exams are provided on the second Monday of each month. Defrost: Do not leave the turkey on the counter or back deck for days without temperature control. Defrost in the refrigerator for two to three days or under running, cold water. The label on the turkey stateing “Keep Refrigerated” means 41 degrees or below. Use a thermometer: Cook poultry to an internal temperature of 165 degrees. If it is hotter, you run the risk of ‘turkey jerky.’ If it is too cold, then the turkey is dangerous to consume. While the pop-up device that comes with the turkey is a useful tool, it is no substitute for a food grade thermometer. Use a digital, rapid read thermometer with the thinnest probe possible. The juices will not run when you take an internal temperature. To stuff or not to stuff: ‘Empty’ birds cook faster and more evenly, but if you would like to stuff the turkey, try not to pack the contents tight. Reheat: Reheat leftovers to 165 degrees before consumption. In early 2019, the MCHD’s main office will be moving to 50 East Main Street in Freehold. Check our website, newsletters and press releases for information on the official date. In 2017, the MCHD team of Public Health Nurses provided over 1,000 seasonal influenza vaccinations at senior centers and various sites in member municipalities. Christopher P. Merkel M.P.H., H.O.